This week’s LoveBath guest comes to us all the way from Madrid, Spain. Javi Frias, the DJ, producer, label-head and event promoter has distinguished himself as one of the most talented and in-demand jocks on the Iberian peninsula…and for good reason! 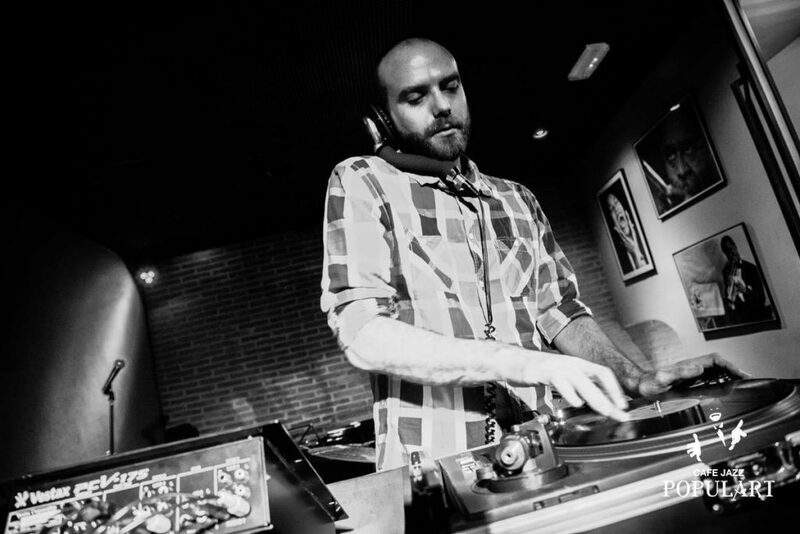 Bursting on to the scene with heavily lauded releases for coveted labels like DJ Rahaan’s Street Edits, Boogie Cafe, Midnight Riot and then performing the coup-de-grace with his own imprint, Night Shift Records… Mr. Frias serves his namesake aptly as he’s one stone-cold mama-jama! Dip in to his all-vinyl mix below and enjoy our usual interview stylings. Dig! Hola, Javi! Welcome to The LoveBath…could you start by giving us a little background on yourself? A bit of info about your musical journey and where you’d like to see yourself go in the future with music? Yes, I started collecting and playing records in the late nineties in Madrid, my hometown. At first, I was very interested in soul and reggae music from the sixties and seventies and I was part of the northern soul scene here in Spain, but then I began to discover the evolution of black dance music, partly thanks to Norman Jay and Gilles Peterson BBC radio shows that I listened every week. So, my mind opened to new sounds like funk, disco, boogie, jazz and house. At the time, I did also some radio shows on local stations and started to play here and there around town and even other cities around the country too. A few years back I started to do my own edits, I sent it to some of my favorite labels and they found them interesting, so I got some digital releases first on labels like Giant Cuts, Midnight Riot and Hotbox Boogie, and then also some vinyl releases on top labels like Street Edits, Disco Pocho, Giant Cuts, Boogie Cafe, Bons Records and Neon Finger. I recently launched my own label, Night Shift Records and lately I’m having the opportunity to play more gigs outside of Madrid and share the decks with some of the best DJs and producers in the world of disco. You host a really great party in Madrid called Discotizer. What was the inspiration to create this event and what would you say the local reception has been so far? The idea behind Discotizer was to create a weekly party where you can enjoy the best in disco, boogie and house music here in Madrid. I’m the sole resident DJ and love having the opportunity to invite people that really inspire me to share the decks each week. After near two years of Discotizer, I can honestly say: “we did it… the party is a success!” The venue, Marula Cafe, is small but has a really nice vibe, and we’ve been bringing in some of the best DJs in the world, mostly, for their first time in Madrid. We’ve hosted the likes of Rahaan, Red Greg, Ron Basejam, Horse Meat Disco, Eli Escobar, Marcel Vogel, Mr Mendel, Faze Action, Dicky Trisco, Frank Booker, Get Down Edits, Luxxury, Dan Shake, Jacques Renault, Alexander Nut… The local reception has been really good, disco is not so big here in Madrid but it’s growing, and the most important thing is that we have some very young people attending to the party that really love the music, so the future is here! You also recently launched your own record label, Night Shift Records… give us the scoop on that and whats in store for the future. After some releases on other labels, I finally decided to start my own label to release my music and also the music of some other people a really like. The music spectrum is disco and house edits and reworks, vinyl and digital. I’ve just released two EPs of my own that sold out very quick, and last month I released a new 12″ by Belgian duo Chassé, that is getting a great response and selling very well too. In the next couple of months, I want to release a new EP for myself and by the new year, some new stuff from some fellow young producers. Stay tuned! Any other exciting news you’d like to share with us? Upcoming shows, releases, etc? This is your chance to plug, plug, plug! During the summer I’ll be playing every Friday at my Discotizer party here in Madrid with some top guests. I’ll also be playing a festival called Enclave de Agua here in Spain and after the summer, hopefully, I will have some gigs in Paris, London and beyond. Release wise, I’ll have a new 7″ on the mysterious label, Disco Pocho, out around September and I’ll do a new EP for my label before the end of the year. Your current, favorite party-starting track at the moment? There is tons of amazing music at the moment, but if I have to choose just one, I’d have to say the incredible JKriv rework of the afro disco banger ‘You Turn Me On‘ by William & The Young Five released on Soundway Records. It’s the perfect summer tune to get the dance floor moving!